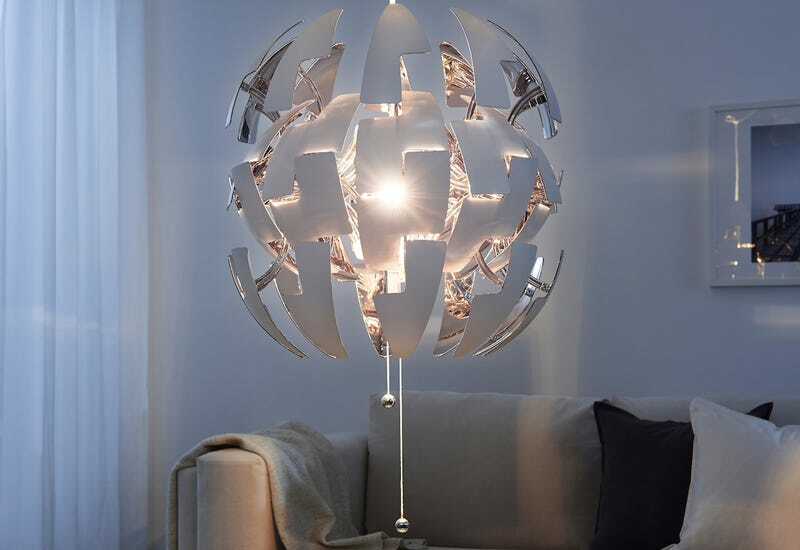 Part of IKEA’s PS collection, these modern takes on the chandelier start at $40, and burst apart and implode with the pull of a string. There’s nothing of IKEA’s typical ecosystem of fasteners and pressboard here. Parts consist of a mount, a core, a wire, and the fifty (50) puzzle pieces that come together to form your new pendant light. Assembly is more a zen experience and less a classical labor for your relationship to overcome. Throw a Hue bulb in there and you’re off to the races.